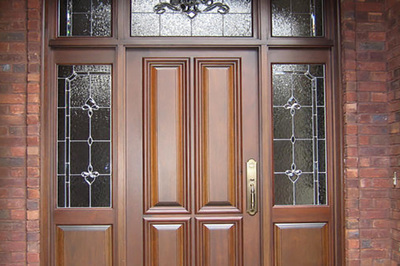 The three product above are the most commonly used fo Windows, Doors and Trim. These surfaces require special consideration for each use. W.D.T. need to be coated with a resilient / not brittle finish that endures movement without chipping. At the same time they require something that is not so soft that doors stick and peel or windows stick shut. This system is great on floors, porches, windows, doors and trim. It is a highly durable system. Clear Skies Satin is great paint. It is thick and tough. On Main St. building comparisons, Clear Skies Satin has double the durability of conventional coatings on buildings painted at the same time. Often Clear Skies Satin is painted and not top coated with NanoTech. This is usually low impact areas. It's tough but a top coat of NanoTech will take to another level. Surfaces that take impact like floors, windows, doors and some trim, we recommend Clear Skies Satin coated with NanoTech Clear 00. This is the best window, door and trim paint. Surfaces that get slammed, shut, moved, touched, pushed and even kicked (doors) need some extra protection. The Clear Skies Satin is extremely tough and comes in many colors. It covers great and provides a dense resilient base. The NanoTech Clear 00 dries fast and tack free. It also relies on molecular geometry to interconnect with the Clear Skies Satin in a way that is extremely resilient. Having a clear coat over the paint makes it easier to wash, touch up and maintain. It also makes it so windows and doors can be coated in the a.m. and closed that night. Rainforest Sealer is the workhorse in this category. This is because it is super dense, natural and very easy to use, inside or out. Rub a 2-3 coats into a door and it'll be saturated and feel buttery smooth. Huge stacks of trim can be coated in one pass and handled immediately! Sawdust? No worries! The painters can literally finish in one room and hand the board to the Trim Carpenters to be hung. A little touch up is easily done afterward if necessary. For exterior high mold areas Mountain XT is usually chosen. NanoTech is fantastic for staining trim dark colors in one pass. It also dries fast allowing for easy finishing of large projects. Bio Poly Natural is preferred on log and timber frame home interiors. Wood saturated with dense resin is beautiful and will never peel. We combine principles of wood cell fiber saturation with high density resin to achieve a petrification effect as wood weathers and is maintained. Perfect for exterior windows and doors that must remain breathable. A penetrating stain without topcoat is ideal for wood with a moisture content above 12-15%, or when a flat sheen is desired. When one coat is called for. When time is of the essence. 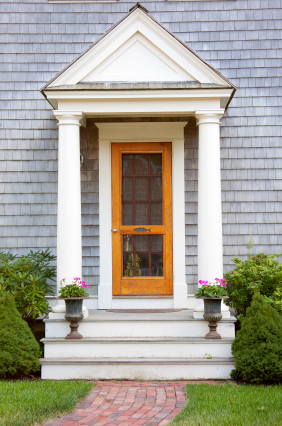 ​This is commonly seen on nice doors and woodwork. The first coat doesn't have to be a stain, it can be clear but should be a dense oil like Rainforest Sealer. Often the first coat is a clear coat, especially on nice woods like mahogany. In general, a coat of good oil stain (or clear) is applied and then at least 2 coats of a clear top coat are applied, usually NanoTech. The reason two coats are applied over the stain is that it takes about 3 coats to fully saturate, fill in void, and create a durable film. Applying the first coat of Rainforest Sealer increases durability on exterior surfaces significantly. Generally, the inside and outside of a door can be finished with the same system, which is most often Rainforest Sealer and NanoTech Clear 00 (2-3 coats). On interior surfaces, Aqualine Satin is sometimes preferred for it's sheen, fast hardness, tack free feel and excellent durability. 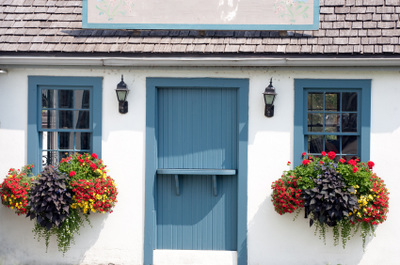 What to Use on Interior Windows, Doors and Trim? Inside use? These recommended products are highly durable exterior coatings for windows, door and trim. As with all Earthpaint products, it is safe to use inside (Mountain XT will dry extremely slow inside). Since we don't rely on toxic biocides, benzene, butyl carbamate or other such ingredients there isn't a toxicity issue inside with these coatings. Instead the thing that makes theses systems so durable is the quality, purity and advanced technology. Bio Poly Natural, Mountain, Looking Glass Beeswax Polish and Special Linseed Oil are often used inside as well. This is judges on a case by case basis. The Ask Earthpaint tool can be helpful for custom recommendations.